JIMI is our first homebred champion. He completed his AKC championship at the age of 14 months. 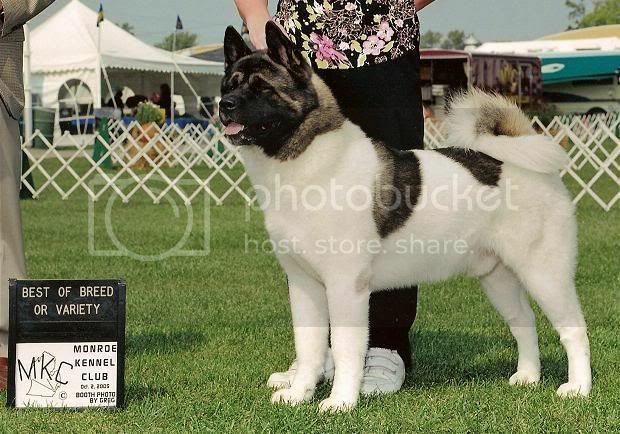 He is also a Canadian Kennel Club champion. Quite the child prodigy, he exceeded our expectations by winning Best of Breed over specials and a GROUP 2 at the age of 7 months! He currently has his Canine Good Citizen and Temperament Test certifications, and he is now a registered Therapy Dog! This big mush loves to meet and greet the crowds at the benched dog shows in Chicago and Detroit. He has a particular love of little people in strollers---beware, dog cannot control his licker!! !